In another bowl, Combine flour, baking powder, baking soda and sugar. Mix well. Add the flour mixture to the mixing bowl and knead them until they stick together as dough. Mix thoroughly, but do not over mix. 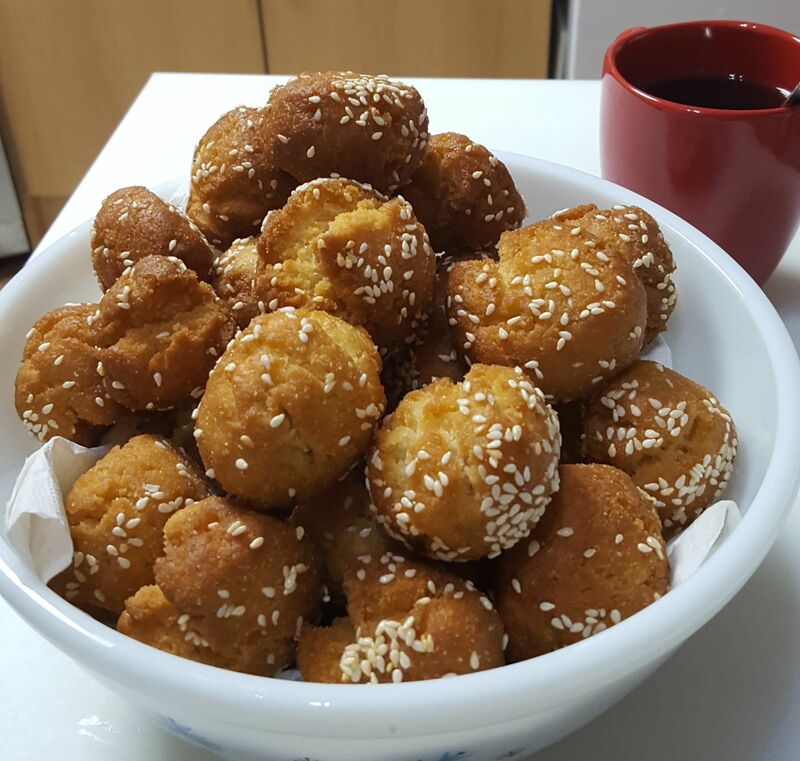 Scoop the dough and form into a round ball and roll it in a sesame seeds. Heat the oil in a medium heat, then fry them. Drain excess oil using sifter or vegetable drainer tin.